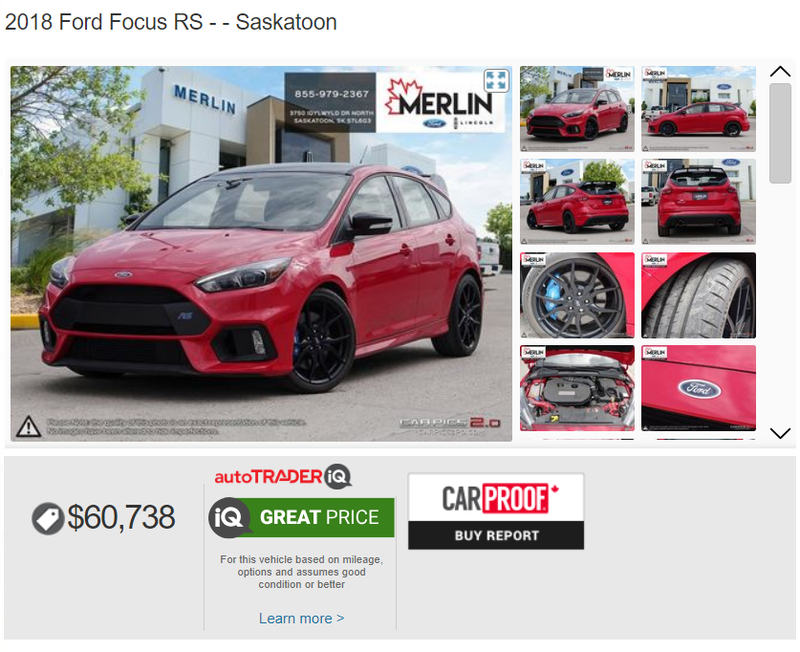 According to AutoTrader, the average price for a Focus RS in the area is $68,645 CAD. I don’t care how sweet drift mode is, that’s insane. I don’t have any experience with the car, but is it worth the price?